Camp for €20,- a night at Camping e Canicce in low season with CampingCard ACSI. 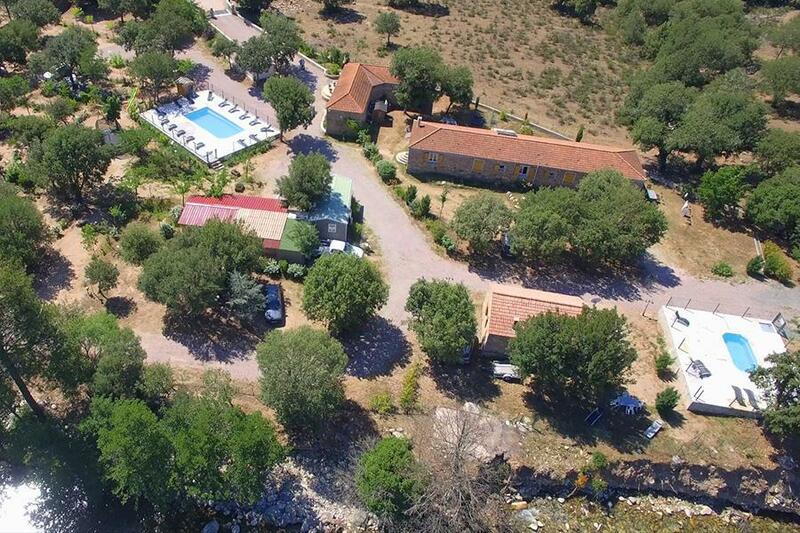 Camping e Canicce, located in Moltifao (Upper Corsica), is a campsite with 24 touring pitches. With your CampingCard ACSI you can camp on one of the pitches during the following periods: 01-03-2019 - 30-06-2019 and 01-09-2019 - 31-10-2019. At this campsite you can not only use your CampingCard ACSI for inexpensive camping, you can also use your ACSI Club ID (as an alternative ID). Campsite located in a pretty area in the mountains. Quiet, family campsite with direct access to the river. Stunning panorama over Corsica's highest mountain peaks. Child-friendly (swimming pool, playground). Ideal base for walks. No chemical toilet and motorhomes may not fill water. Accueil très sympathique et chaleureux par le propriétaire amoureux de son camping et de sa région. Les sanitaires sont irréprochables et les emplacements corrects. Camping car vous êtes les mal venus car c’est un camping ecolo . Pas de remplissage d’eau et de vidage. Inaccessible aux camping car à cause des arbres. Hauteur limitée ne permettant pas l’accueil dès camping cars. Would you like to book Camping e Canicce or request more information? You can do both using the information below. On N197 at Ponte Leccia take D147 towards Asco. After about 3km campsite is on the right. CampingCard ACSI will send your information request to "Camping e Canicce".